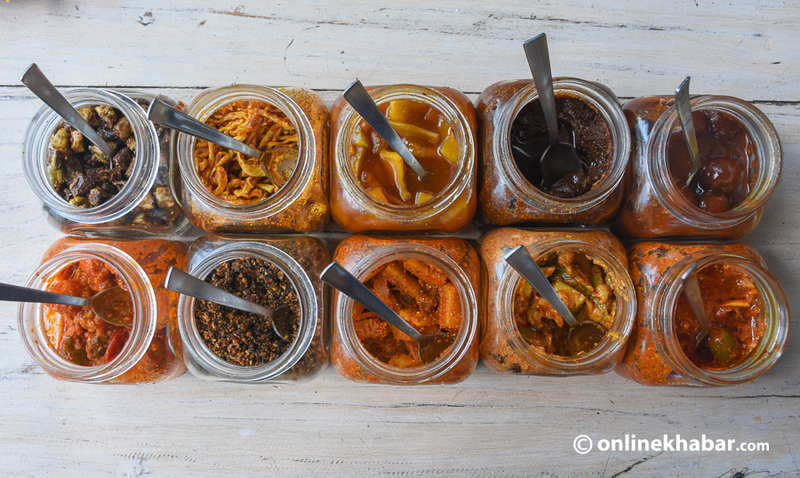 When you think of Achaar Ghar, the first thing that comes to your mind is pickles, lots of pickles. But the restaurant is more than just pickles. Its wide range of food items and hospitable staff will make you come back again and again. 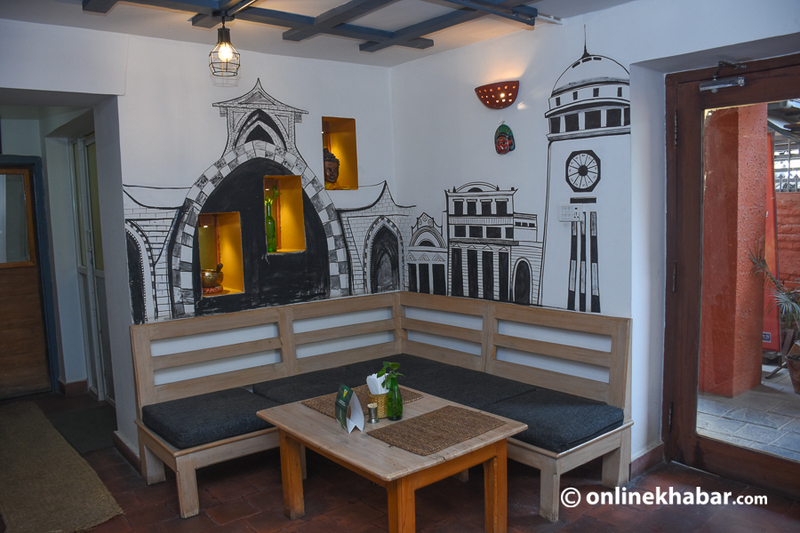 Based in Jhamsikhel of Lalitpur, the restaurant for the past two years has been a hub for pickle lovers in the Valley. As soon as you enter the place, you get to witness a wide range of pickles which vary from sweet to very spicy. They also have a chicken pickle if you’re into it. The restaurant is run by Kratu Pandey, who wanted to create a space to sell pickles made by his mother-in-law. The lady has been making pickles for over 25 years. But because people only buy pickles after tasting it, Pandey decided to open a restaurant dedicated to serving traditional Nepali dishes accompanied by 10-12 different pickles. While the Nepali thali is quite famous here, you can begin your experiment with some sumptuous snacks which can be good starters before the main feast arrives. 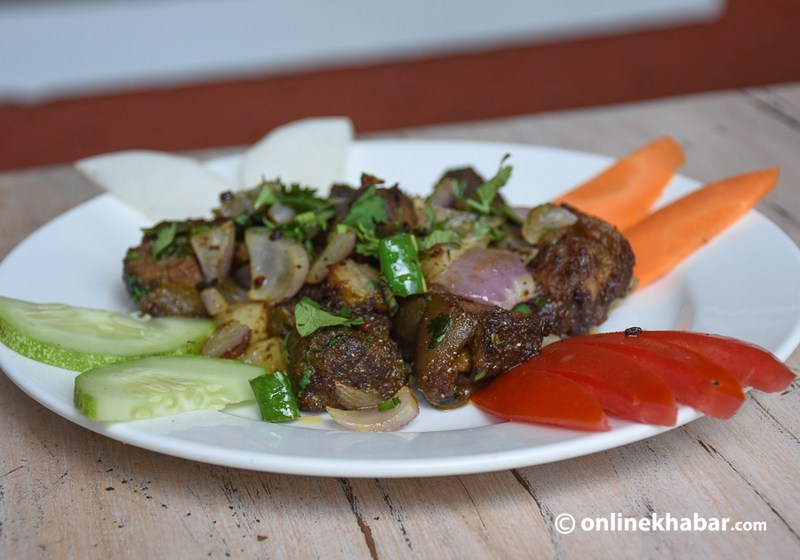 The first starter you can try is the mutton bhutuwa. The tender goat meat is spiced well and goes well with the spicy akbare khursani (round chilly pickle). The meat is marinated quite well has a good smoky aftertaste. The spicy chilly pickle compliments the meaty dish which will definitely be a good starter with your beer; or it can accompany your thali. 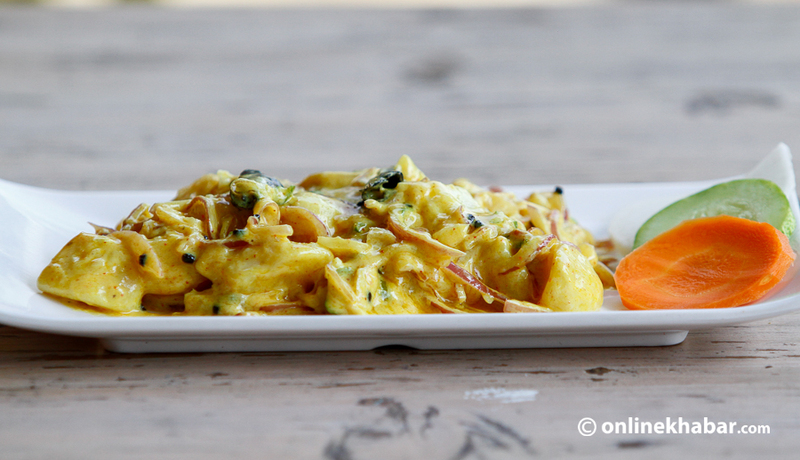 Next, you can try a vegetarian dish called taruwa. The battered and fried dish is like a vegetable pakaora, where the chef covers veggies like cauliflower and potato in a batter and fries them. 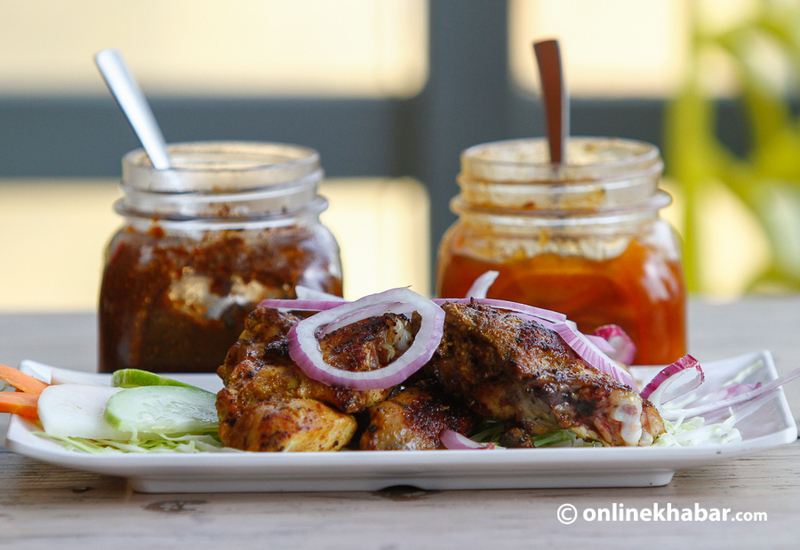 It’s a simple starter which has homely flavours and goes well with the tangy tomato pickle. You are also recommended to try wings poleko. The grilled wings are pretty well marinated and have nice flavours from the spices which Pandey says are prepared in the pickle factory itself. They have a hint of smoky flavour and are tender. You should try this dish with a hot chilly pickle from the place; you will not be disappointed. For the final dish, I tried the chukauni, a spicy potato and yoghurt salad. 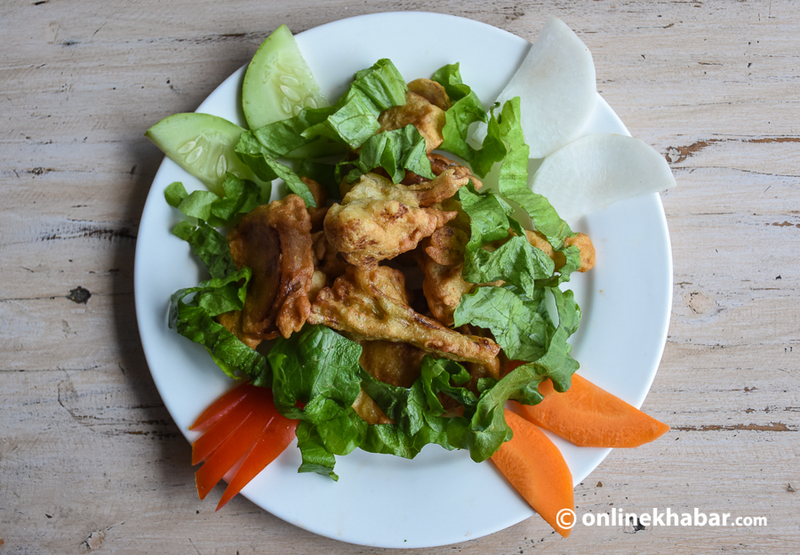 The dish is quite similar to what you can find in many Nepali homes. The dish quite famous in western Nepal is quite tasty. It is not too spicy but is full of flavour. The hot oil containing fenugreek seed and turmeric is poured into the potato, yoghurt and onion mix; and it adds a different aroma and a strong flavour to the dish. Apart from these, the place also serves amazing mutton aaloo chop and is coming up with a burger for the same dish. Their timmur kukhura and dalchini jukhura is also loved by their customers. The best thing about Achaar Ghar is that all the ingredients that are used in the dishes are brought in from various parts of Nepal and are processed in their pickle factory. Pandey says Achar Ghar is a family restaurant, but over the past two years, it has also been getting the younger crowd. He adds that they use no artificial flavours which give the items on their menu a homely feel. And he is right, when you eat in some restaurants you feel full after a few bites. But here it’s different. You can stay in Achaar Ghar and munch on your favourite food times lounging on one of their beanbags for hours.